A brave citizen lost his life while trying to stop a violent store robbery 14 years ago. Police are once again turning to the public for assistance to solve the cold case murder. On Monday, April 21, 2003, at around 10.35 p.m., a man entered the Daisy Mart Variety Store at 1174 Morningside Drive.He approached the lone female clerk who was behind the counter and pointed a silver handgun at her, demanding cash. Mohamad Nakib-Arbaji, a 53-year-old self-employed taxi driver for over 20 years, tried to stop the robbery by grabbing the suspect. During the struggle, he was shot and collapsed on the floor. The suspect, after shooting the deceased, went to the rear of the counter and attempted to open the cash register. When he was unsuccessful, he fled the store on foot. 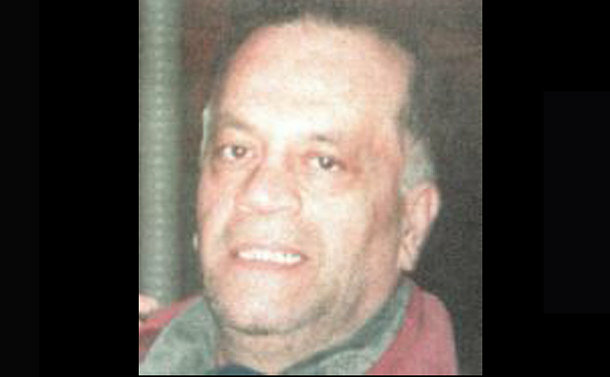 He was last seen running west on Sheppard Ave. E., towards Malvern Woods Park. Nakib-Arbaji was pronounced dead at the scene. The suspect is described as a black man with a medium complexion. He was about 5’5”, with a very thin face and build and around 18-20 at the time. He was armed with a silver handgun and carrying a bag with short handles. D/Sgt. Stacy Gallant said Nakib-Arbaji had five children. “The youngest were three and one-and-a-half years old,” said Gallant. He had a simple message for the public. Anyone with information is asked to contact Homicide at 416-808-7400, Crime Stoppers anonymously at 416-222-TIPS(8477), online at 222tips.com, text TOR and your message to CRIMES (274637). Download the free Crime Stoppers Mobile App on iTunes, Google Play or Blackberry App World.